This figurine is part of a small table lamp that I am restoring. There was a warning sticker on the bottom of the stand that had yellowed with time, and the typeface seems to suggest that the lamp was made somewhere around the 1950s or 1960s. The plug appears to be consitent with that as well. I can't find anything like this on the internet (I even used TinEye to try and find a match). There was one that was very similar, but not exact. Has someone seen this before? I very much appreciate it! 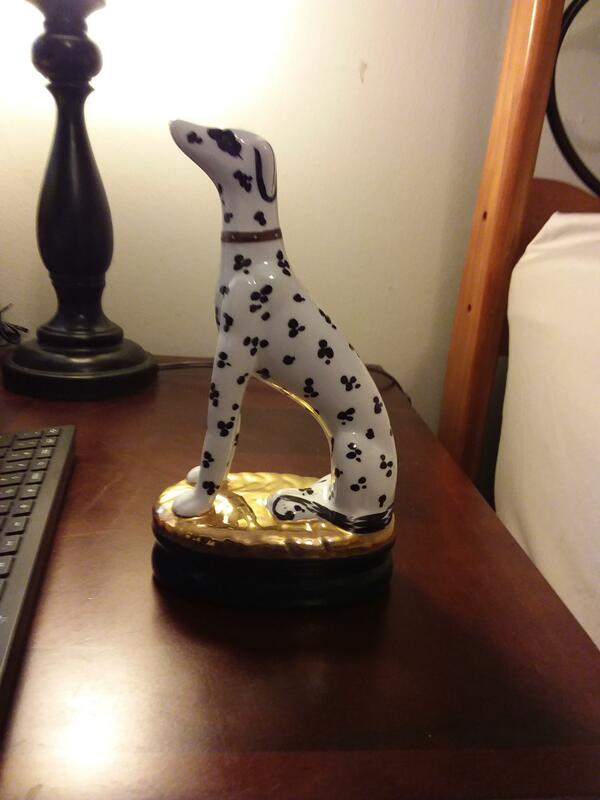 Gold base, white dog figurine with small black spots in a somewhat regular pattern.